At the heart of its legendary features is the overpowering reason to own a Super Air Nautique 210 – the wake. It's rampy, with a long transition and clean lip, delivering smooth takeoffs and a wide landing zone. 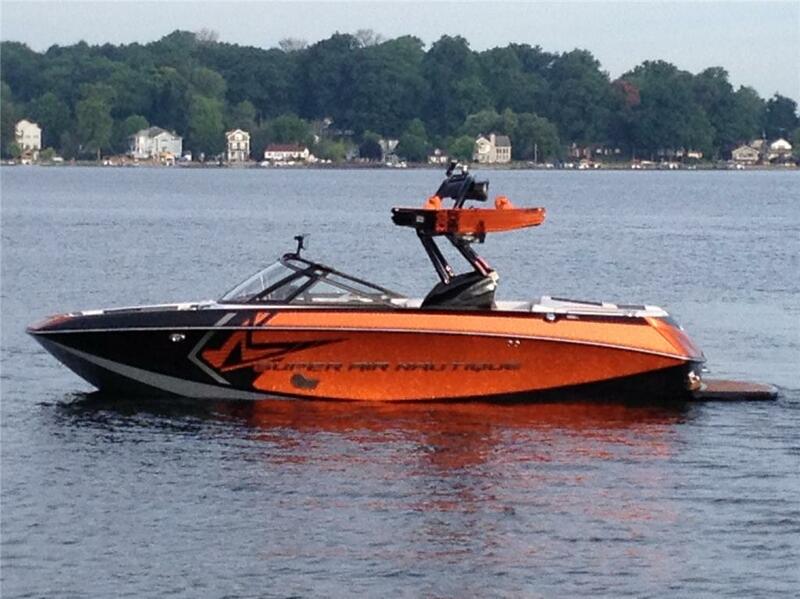 No wonder the 210 is the boat of choice for Team Nautique wakeskater and Masters Champion Brandon Thomas. After throwing down your sickest tricks, you'll like what you see on and in the 210. The intense new Sublime Green gel coat color with the Wing graphic. It's sure to turn heads both on and off the water. Enjoy standard features such as the rear-facing seating possibilities, over 900 pounds of integrated ballast, the all new Flight Control Tower, Nautique Digital Cruise and stereo with MP3 player connectivity. The list of options like color-matched towers and the new horn driver tower speakers are insane. For wakeboarding, wakeskating and wakesurfing, the Super Air Nautique 210 rides on the edge of water sports... which is exactly where you want to be.